All lectures are FREE and open to the public. No registration is required. Parking is available at the Central Grounds Parking Garage. Lectures are sponsored by the Virginia Education Sciences Training (VEST) Program (supported by the U.S. Department of Education Institute of Education Sciences or IES), and the Curry School of Education and Human Development Dean’s Office. 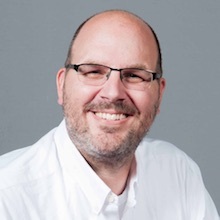 Bio: Dr. Tim Curby is an Associate Professor and Director of the Applied Developmental Psychology Program at George Mason University. He earned his PhD in Educational Psychology from the University of Virginia in 2008 under the direction of Dr. Rimm-Kaufman. Prior to his doctorate, Dr. Curby earned his master’s degree in Teaching and his undergraduate degree in Biology from the University of Michigan. He was a high school science teacher for four years in a Detroit suburb. Dr. Curby's interests are in the role of classroom processes in children’s social–emotional learning. He also has substantial expertise in both longitudinal and nested models. Dr. Curby teaches graduates courses such as Lifespan Development and Longitudinal Data Analysis. He has published extensively with over 50 research articles and several book chapters. Abstract: Children's emotions are evident in preschool classrooms, but the role that teachers play in helping preschoolers become emotionally competent is not well understood. Through support from an IES Goal 5 measurement development grant, the Emotion Teaching Rating Scale (EMOTERS) is being developed to capture these teacher behaviors that support children's emotional competence. Four domains of teachers' behaviors are thought to be most relevant: 1) Modeling captures teachers’ emotional displays; 2) Instructing captures direct/explicit instruction about emotions; 3) Responding entails teachers’ reactions/responses to children’s emotions; and 4) Relating captures the positive and negative elements in teacher–child relationships. Rasch analyses will be presented from the coding of 621 10-minute cycles during a pilot of the EMOTERS. Discussion will focus on item performance in the EMOTERS measure as well as the teaching of emotions in early childhood. Bio: Bethany Rittle-Johnson received her B.S. In Psychology from the University of Virginia and her PhD in Developmental Psychology from Carnegie Mellon University. She is a Professor and Department Chair in the Psychology and Human Development department at Peabody College, Vanderbilt University. Her research focuses on understanding how knowledge change occurs. Her specific interests are in how children learn problem-solving procedures and key concepts in mathematics. For example, what roles do comparison or generating explanations have in promoting learning of concepts and procedures? What early math knowledge supports later math knowledge? 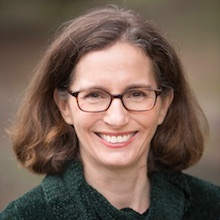 This research bridges between psychological theory and educational practice, and Professor Rittle-Johnson also collaborates with teachers and educational researchers to apply and test her research in educational settings. Abstract: Early mathematics knowledge is a strong predictor of later academic achievement, but children from low-income families enter school with weak mathematics knowledge. An Early Math Trajectories model is proposed and evaluated within a longitudinal study of 519 low-income American children from age 4 to 12. This model includes a broad range of math topics, as well as potential pathways from preschool to middle-grades mathematics achievement. In preschool, nonsymbolic quantity, patterning and counting knowledge predicted middle-grade mathematics achievement. By the end of first grade, symbolic mapping, calculation and patterning knowledge were the important predictors. Further, the first-grade predictors mediated the relation between preschool math knowledge and fifth-grade mathematics achievement. Findings were similar when predicting 4th- through 6th-grade mathematics achievement on standardized measures or on the high-stakes state test. Theoretically, findings support the Early Math Trajectories model among low-income children. Practically, findings suggest that nonsymbolic quantity knowledge and repeating patterning knowledge prior to formal schooling are valuable indicators of low-income children’s performance on high-stakes state math tests in the middle grades. Bio: Iheoma U. Iruka, Ph.D., is the Chief Research Innovation Officer and Director of The Center for Early Education Research and Evaluation at HighScope Educational Research Foundation after tenure at FPG Child Development Institute at the University of North Carolina-Chapel Hill and the Buffett Institute at the University of Nebraska. Dr. Iruka is engaged in projects and initiatives focused on how evidence-informed policies, systems, and practices in early education can support the optimal development and experiences of low-income, ethnic minority, and immigrant children, such as through family engagement and support, quality rating and improvement systems, and early care and education systems and programs. She is co-PI for the IES-funded Early Learning Network-Nebraska Site, a large scale and far reaching study aimed at identifying malleable factors that support early learning in preschool through Grade 3. She is also part of a team conducting evaluation on Educare, a consortium of schools focused on implementing high quality early education programs for young children placed at risk children. She has been engaged in addressing how best to ensure excellence for young diverse learners, especially Black children, such as through development of a classroom observation measure, examination of non-traditional pedagogical approaches, public policies, and publications geared towards early education practitioners and policymakers. Dr. Iruka has served or serves on numerous national boards and committee, including the National Academies of Sciences, Engineering, and Medicine committees on Supporting Parents of Young Children, and Applying Neurobiological and Socio-behavioral Sciences from Prenatal through Early Childhood Development: A Health Equity Approach. Dr. Iruka has a B.A. in psychology from Temple University, M.A. in psychology from Boston University, and Ph.D. in applied developmental psychology from the University of Miami, Florida. Abstract: Considering the widespread focus on the academic achievement and social behavior of African American boys, there has been a limited focus on African American girls. Recent data from the U.S. Department of Education Office for Civil Rights shows disproportionate suspension rates for girls of color with Black girls suspended at higher rates (12%) than girls, and boys, of any other race/ethnicity. Further, data from the U. S. Department of Education shows that African American girls lag behind Asian, White, and Hispanic females in terms of academic achievement. These data provide some evidence that attention may also be needed for African American girls. The goal of this talk is to share insights about the early learning and school transition patterns of African American girls and the factors that support their early adjustment and comparison to boys. 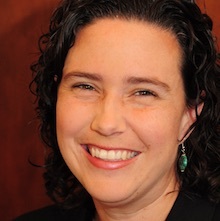 Bio: Dr. Elizabeth Bettini is an assistant professor in the special education program at Boston University's Wheelock College of Education and Human Development. Dr. Bettini’s research focuses on how working conditions contribute to special educators’ instructional quality, stress, and longevity in teaching, especially for novice special educators and special educators serving students with emotional/behavioral disorders. Her research has been published in 26 peer reviewed articles, and has been funded through the Institute for Education Sciences and the Spencer Foundation, among others. Abstract: Efforts to develop an effective special education teacher workforce have primarily focused on developing special educators’ knowledge and skill. In this presentation, I argue that these efforts are insufficient, because special educators need both opportunities to learn effective practices and opportunities to enact those practices in the service of students. Focusing on special educators’ serving students with emotional/behavioral disorders, I describe two recent studies of special educators’ working conditions. In the first, we used structural equation modeling to analyze data from a national survey. We found SETs’ perceptions of adequacy of planning time, workload manageability, stress, and emotional exhaustion mediated relationships between other working conditions and intent to stay. In the second, we are examining how special educators experience the interpersonal aspects of their work in self-contained classes for elementary school students with EBD. We are finding that managing complex interpersonal dynamics is an important component of these special educators’ work, and that special educators feel their working conditions shape the ways they enact this responsibility. I conclude by discussing the importance of future research on how school contexts may shape the quality and effectiveness of the special education teacher workforce. 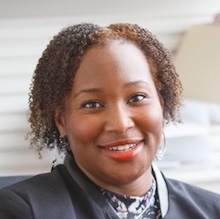 Bio: Riana Elyse Anderson is an Assistant Professor in the Department of Health Behavior and Health Education at the University of Michigan's School of Public Health. She earned her PhD in Clinical and Community Psychology at the University of Virginia and completed a Clinical and Community Psychology Doctoral Internship at Yale University’s School of Medicine. She also completed a Postdoctoral Fellowship in Applied Psychology at the University of Pennsylvania supported by the Ford and Robert Wood Johnson Foundations. Before joining the University of Michigan, she was an Assistant Professor in Preventive Medicine and the Department of Children, Youth, and Families in the School of Social Work at the University of Southern California. Riana investigates how protective familial mechanisms such as parenting and racial socialization operate in the face of risks linked to discrimination and residential environment. She is particularly interested in how these factors predict familial functioning and subsequent child psychosocial well-being when youth are enrolled in family-based interventions. 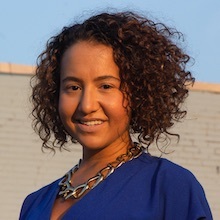 Riana is the developer and director of the EMBRace (Engaging, Managing, and Bonding through Race) intervention and loves to translate her work for a variety of audiences, particularly those whom she serves in the community, via blogs, video, and literary articles. Abstract: For youth and adults of color, prolonged exposure to racial discrimination may result in debilitating psychological, behavioral, and health outcomes. To help their children prepare for and prevent the deleterious consequences of discrimination, many parents of color utilize racial socialization, or communication about racialized experiences. Given heightened awareness to discrimination plaguing Black communities, better understanding of how racial socialization processes and skills development can help youth and parents heal from the effects of past, current, and future racial trauma is important. Greater racial socialization competency is proposed as achievable through intentional and mindful practice, thus, this presentation will explore theories and practices important in the healing processes of racial trauma.